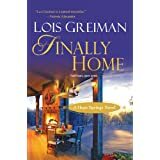 This is a great book with characters that are easy to relate to from the very first page. Solheim does an excellent job of painting intimate, realistic pictures of every scene in this book – her imagery is pure perfection. She also begins pulling on your emotional strings at the very beginning and doesn’t let go until the very end. Set on the beautiful coast of North Carolina this book is has a deep theme regarding trust. Both Will and Julianne learn to trust themselves as well as each other during their whirlwind relationship. Throughout the book Julianne will make decisions that will make you just stop and say, “WTH, really!? !”, and let’s not forget Will you will just want to plum wring his neck at times. However, even with their faults they are loveable characters. They have real characteristics and personalities that are easy to relate. This book also has really great secondary characters and secondary story line. It is genius how the secondary story line is woven into the resolution of the main conflict. I’m telling you – you WILL NOT see it coming!! Also, don’t forget to look for and simply enjoy the secondary love story of Will’s mom. It is beautiful and very heart touching. This is a great book that is not too heavy in the football theme or jargon, it is simply a love story that will having you sighing “touchdown” by the end! Could life get any more hectic at the Lazy Windmill? 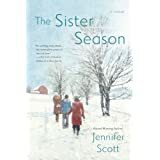 With the holidays reminding Casie of every mistake she’s ever made, and her assistant Emily struggling to be a single mom, it’s anyone’s guess what the New Year will bring. Then bad boy Colt Dickenson shows up with a ring. 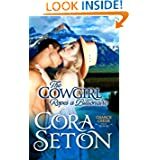 No one has ever gotten under her skin like he has, but Casie can’t believe a rough stock cowboy will stick around for the long haul. — Still, the heart wants what it wants; love is as stubborn as family, foals, and farm equipment. And sometimes you have to face your fears to find the happiness only coming home can bring. What a sweet, fun, charming read! 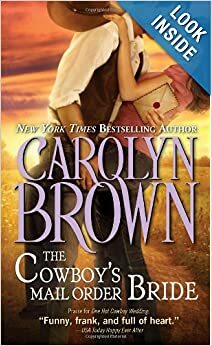 The Lazy Windmill is the name of the ranch in South Dakota where this book takes place, and it is anything but lazy. From beginning to end this book has something going on all the time.If you love stories about misfits then you will have no problem falling in love with every single character in this book. Casie and Colt have known each other since they were in school. 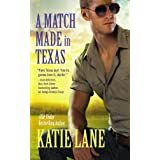 They have shared a kiss, but now Colt is ready to share his life – all he has to do is convince Casie. However, as you will read, it proves way more difficult than it sounds. Casie and Colt serve as surrogate parents for their brood which consist of Emily, Sophia and Ty. All three are teenagers that need love, stability, safety, and most importantly someone who believes in them. All three are unique characters with their own stories to tell,and all three will have your heart tied in knots. There is A LOT going on in this book. 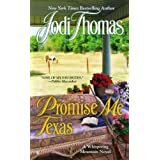 You have the main story of Casie and Colt, but each secondary character, Emily, Sophia and Ty, along with the ranch’s guests all have equally interesting and appealing stories. They are all woven together beautifully and flow smoothly to give you a heart-warming read. Symbolism is strong throughout the book, but it just adds to the charm and warmth of the read. You will be left thinking yes there are still good people left in the world, and wishing there were a few more “Casie” and “Colts” out there – especially for young trouble teenagers.